INDEPENDENCE is the finest and most recent example of the renowned Frers-designed Hylas 70, current flagship of the popular and highly respected Hylas Yacht Series, built to the highest standards on a semi-custom basis. Fully automated push-button sail handling systems allow for easy shorthanded sailing, and her long list of additional options includes air, generator, bow/stern thrusters, water maker and an extensive package of navigation and entertainment electronics. Since her launch in late 2015, INDEPENDENCE has seen only light use and has proven to be a fast, safe and extremely comfortable world cruiser with an excellent four-cabin layout, ideal for both private use or charter. She is like new with low hours and is now available at a fraction of replacement cost. 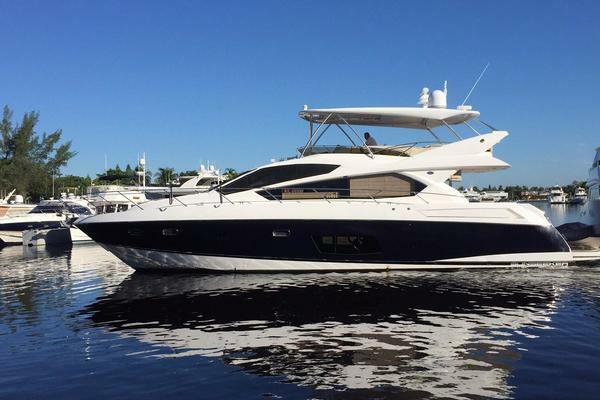 United Yacht Sales New Jersey would love to guide you through a personal showing of this 70' Hylas 70 2015. 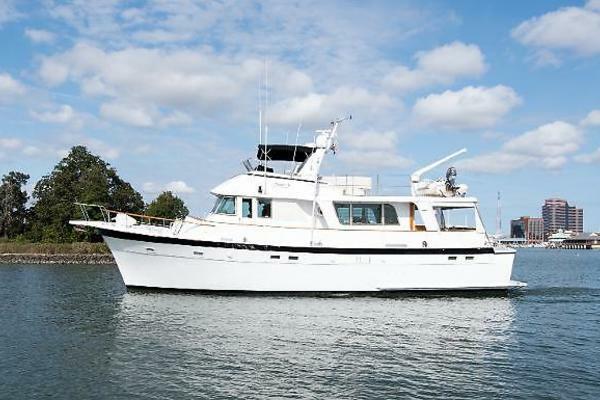 This yacht for sale is located in Norfolk, Virginia and priced at $1,700,000. For a showing please contact us by filling out the form on this page and we will get back to you shortly! CREW QUARTERS/GUEST CABIN: A passageway leads aft along the starboard side to the owner’s cabin with a roomy fourth cabin outboard – quite suitable for crew or guests -- with over/under berths, plus a private head with shower. There are (2) opening portholes, plus (1) in the head. MASTER STATEROOM: The owner's private stateroom is located aft and features a comfortable 66” berth on centerline, with large countertops and storage outboard each side. There are (2) large hanging lockers with several drawers and cabinets. Extended beam is carried well aft to create a spacious, open cabin accentuated by a deck hatch and (6) opening portholes. A private head with separate shower stall and (2) opening portholes is found along the port side. Solid hand-laid Twaron-reinforced fiberglass hull using Vinylester resins and Isophthalic gelcoat with epoxy barrier coating. Balanced spade rudder with partial skeg for optimal performance, strength and protection. There are watertight collision bulkheads aft of forepeak locker and forward of aft lazarette. White gelcoat topsides, blue cove stripe, double blue boot stripes and black bottom. Teak rub rail with stainless striker. Fiberglass with balsa core and solid laminate in areas of deck hardware, white gelcoat and teak decks and cabin top. Modern transom with molded-in steps, swim platform and built-in swim ladder. There is a transom garage door that opens for easy access to extensive storage space with custom shelving, along with large corner lazarette lockers each side, accessible on the aft deck. On the foredeck there is a deep forepeak locker with line hangers and a separate split chain locker forward. Bare teak toe rails and hand rails, with all stainless deck hardware, including (7) low-profile stainless hatches, (4) flush teak hatches, (18) opening portholes, (2) cowl vents, Antal genoa tracks and cars, Harken turning blocks, mooring cleats etc. One of the many highlights of the Hylas 70 design is the spacious cockpit with twin helm stations for easy access from the aft deck and great visibility while steering. The cockpit area was designed to maximize seating for ten comfortably around a beautiful varnished 6’ teak table with drop-leaves and built-in drink cooler. The twin helms are designed for short-handed sailing, with all hydraulic sail controls within easy reach.